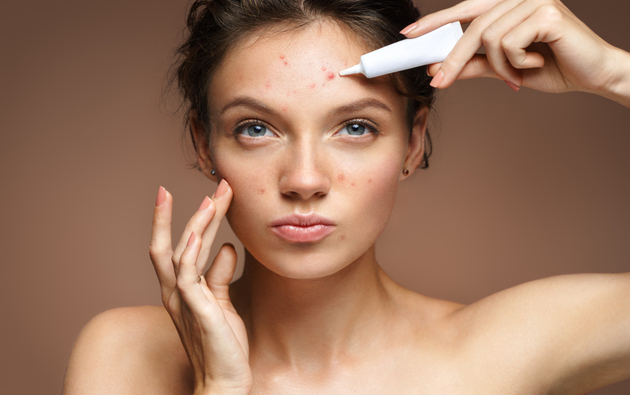 Is Acne a Contagious Skin Condition? Just like any other skin condition, even acne breakouts are surrounded by several myths. Many people believe that acne is a contagious skin condition which can be transferred from one person to another through skin contact. However, that is not the case. Why Acne is not Contagious? Acne is not a contagious skin infection, but simply a non-contagious skin condition. It is just the accumulation of pimples or spots in a particular skin area and can be a result of wide range of underlying causes. If you’re suffering from acne, it is definitely not because you had skin contact with someone who was suffering from acne too, nor do you need to worry about transferring it to someone else. It could be due to a number of other reasons. So you can easily touch or hug someone you like without the fear of contracting the skin condition. According to medical experts, hormonal changes, lack of hygiene, deficiency of essential vitamins and minerals, genetics, inadequate intake of water, etc. are known to be some of the prime contributors to acne breakouts. However, you can apply top quality products like AcneStar gel or AcneStar soap to improve the condition of your acne and achieve a glowing skin. The three major factors which lead to the development of acne breakouts include dead skin cells, excess production of the skin’s natural oil (sebum), and the acne-causing P.acnes bacteria. Although the P.acnes bacteria are generally harmless, they thrive in the anaerobic environment which is created when the dead skin cells and oil block the pore opening. As a result, the bacteria irritate the pore lining, eventually causing redness and inflammation. Even though the P.acnes bacteria are involved in causing acne, they are normally present on the skin so you don’t have to worry about developing acne as a result of this bacterium. If your acne is mild, applying over-the-counter medications like a clear gel for pimples or the best soap for acne can provide you an effective acne treatment. In case you’re suffering from severe acne breakouts, it is important to visit a dermatologist who can suggest you an appropriate acne treatment plan after visually seeing your condition. To conclude, acne is simply an undesirable but non-contagious skin condition which can be prevented by avoiding the underlying causes which give birth to the condition.